Detailed review of Acure Dry Shampoo. See what real experts and actual users have to say about this dry shampoo. Acure Dry Shampoo is a powder formula dry shampoo that is less than impressive. This dry shampoo when it is first applied feels a lot like baby powder; it is very soft in texture and has a very bright white pigment. The product is not very easy to apply; it comes flooding out of the top and leaves a mess on your hair and on your shirt. Once it is applied, the product leaves the pigment stuck to your scalp and leaves a white cast all day. Since the product is very fine, it doesn’t give the hair really any texture or body, but it does absorb the oil pretty well at first. Something I do like about the product is the smell; it smells really nice and natural. This product lasted about 8 hours in the hair before I needed to reapply, and once I reapplied the product, it left my hair looking and feeling gross. Overall, Acure Dry Shampoo is not my favorite powder formula dry shampoo, as it leaves pigment in the hair and doesn’t last all day long. The look and feel of Acure Dry Shampoo is very similar to baby powder when it is first applied. It feels very velvety and soft since it is so finely milled, and it almost melts away into your hair. The product has a bright white cast on the hair when it is first applied, and it sticks to your scalp leaving pigment. It has a very thin and soft texture and it’s very finely milled. The application of Acure Dry Shampoo is very messy. The bottle looks sort of like a powder bottle with 6 holes on the top of the lid, but the product quickly pours out as soon as you tip it over and kind of gets all over the place. I had to change my shirt because the white powder got all over me. There is no drying time since Acure is a powder formula dry shampoo. I enjoy the smell of Acure Dry Shampoo; it smells very natural and a bit like peppermint. The smell doesn’t stay in your hair all day; it goes away after about 45 minutes. The results I achieved from Acure Dry shampoo were okay; they weren’t horrible but also not great. The powder absorbed the oil in my hair well, but left a weird white cast in my hair all day. 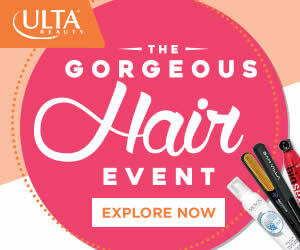 This product also gave me no texture or volume to my hair because of the super fine texture. Acure Dry Shampoo lasts about 8 hours in the hair before it needs to be touched up. Normally, I prefer a dry shampoo to last longer than 8 hours, so I wasn’t impressed. My hair ended up looking weighed down after I applied more product and I really didn’t like the way it felt. 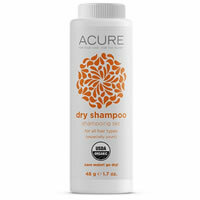 Acure Dry Shampoo is $9.99 for 1.7 oz. That comes out to $5.87 per oz. That is an average or a bit above average price for a dry shampoo, but not too pricey. Unfortunately, I couldn’t find a money back guarantee for Acure Dry Shampoo. To buy Acure Dry Shampoo, Click Here. Price Costs $9.99 for 1.7 oz, $5.87 per oz.